Any time the Golden Knights head to Canada, specifically Toronto, the major media heads north of the border tend to weigh in on what they are seeing from Vegas. Following the 3-1 loss at the Maple Leafs, the voices of Sportsnet’s Hockey Central were not shy in tearing down the reigning Western Conference Champs. They also had a singled out a specific new member of the Golden Knights. They did go on to praise the Golden Knights for dominating games “territorially” but the overall gist of the conversation was not flattering. Pacioretty has just two points in 12 games and Stastny did not record a point in his three games. But, to be fair, they’ve yet to play much together and have not played a single game with Alex Tuch. The good news for the Golden Knights is that after the pedestrian 15 points in 16 games start, they sit just two points out of the playoffs. 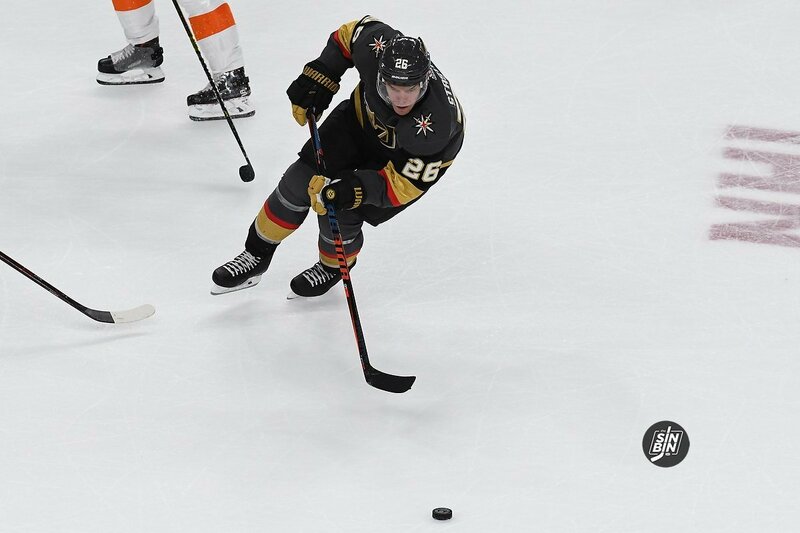 With back-to-back games coming up on Saturday and Sunday, four points would almost certainly vault Vegas right back into the playoff picture. Of course, that’s quite the tall task for a team that’s just 3-6-0 on the road. The other thing nobody wants to talk about is how the guy we gave up 3 picks to acquire, another pick and a top prospect to trade for Patches, is having an exceptional year in Montreal. It seems like we gave away way too much and gave up way too soon on a player that fits the Vegas system much better than Patches does. I like Gallant and think he’s done a great job overall…..but I do think his handling of Tatar is one of his few mistakes. He never got the minutes or the opportunities here that he did elsewhere…..but I believe he still scored 4 goals in about 20 games. When he was acquired, he was touted as a 20 goal scorer and if he had put just one more puck in the net, he would have still been on that pace. Only Reeves so far has earned his paycheck with all the summer raises. PS – Tell Reaves there’s already a 7Five Brewing Company in Dover, Delaware. Don’t worry, Foley is super good with this kind of issue.